VAX-D was invented by Dr. Allan Dyer, MD the former deputy minister of health for Ontario, Canada. Dr. Dyers many contributions to health sciences include research that led to the development of the heart defibrillator. Dr. Dyer's own experience with back pain began when he himself was debilitated by a herniated disc. 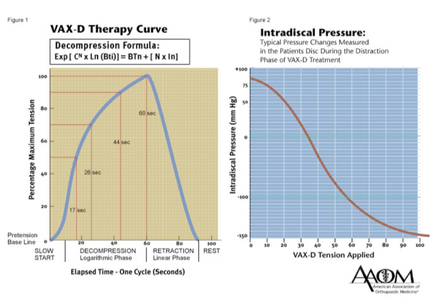 After conventional treatments failed, Dr. Dyer was driven to create a solution his own and formulated the theories that led to the design and development of VAX-D. Dr. Stokes has trained personally with Dr. Dyer and received physician certification through his process of examination and competency, one of only a select few doctors in the country that can claim this training. The disc tissue is decompressed which reduces bulges and herniations thus decreasing nerve irritation, see pictures 1-2. New blood vessel growth via angiogenesis. Watch this video as Orthopedic Surgeon Howard M Berkowitz, M.D. explains the results he has experienced with VAX-D and why he believes it should be used BEFORE surgery. Dr. Robert Channey, MD the assistant surgeon general of the United States speaks boy his personal experience with the VAX-D treatment program. Here is our 30 minute commercial program we created to educate the public on VAX-D and how it can change the way we treat back and neck pain. 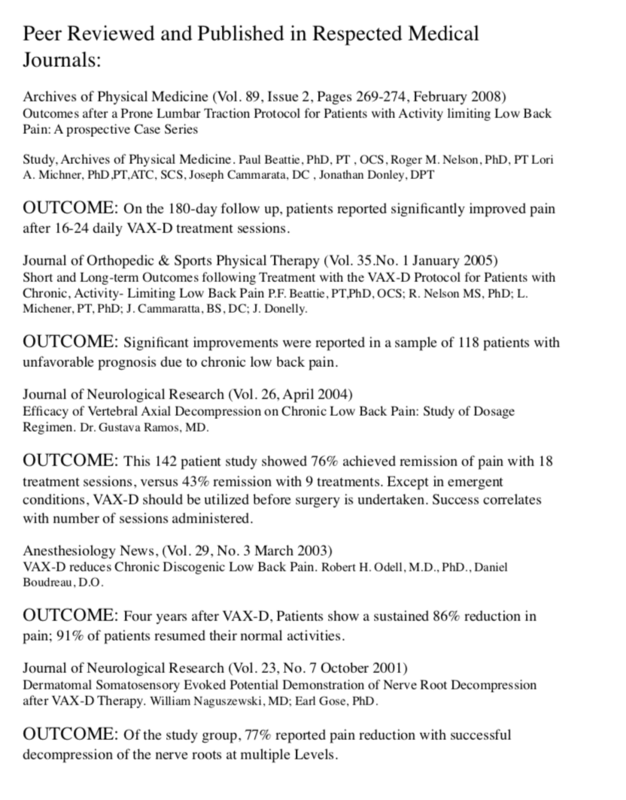 With over 20 years of clinical research VAX-D is the number one non surgical treatment for back and neck pain in the world. Here you can download all the main research. This is a lecture I attended where my mentor, Dr. Allan Dyer, MD explains his Vax-D treatment and the research conducted that proves it's usefulness in cases of chronic back pain and disability. For those interested in the "nuts and bolts" of the procedure I recommend you watch the entire lecture first and then if you still have questions feel free to contact me at the clinic or via email.